Unlike the rest of the snow-covered country, last week was mild in Silicon Valley. The cherry blossoms were blooming and the afternoon air’s mild nip seemed like a minor hindrance compared to the east coast winter I left. I will say it was the perfect setting for a getaway of sorts. 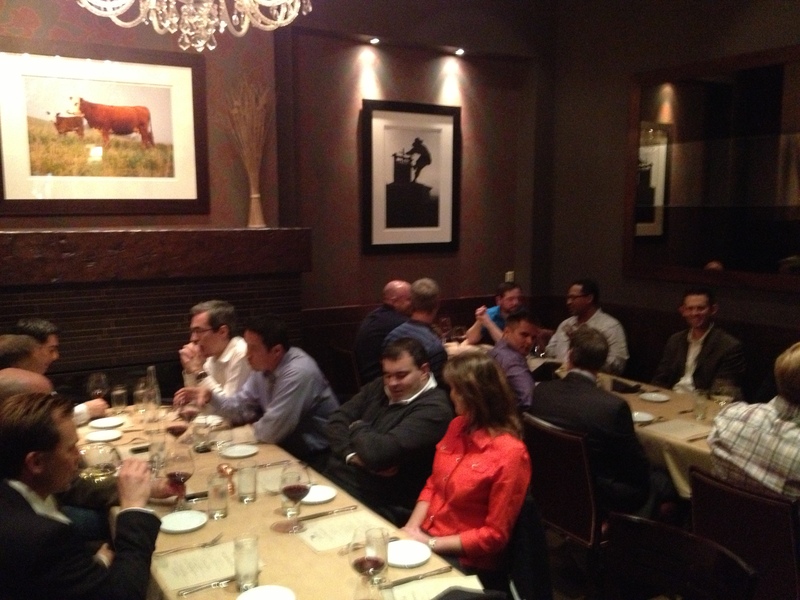 A gathering of common minds around one big topic: SAP. 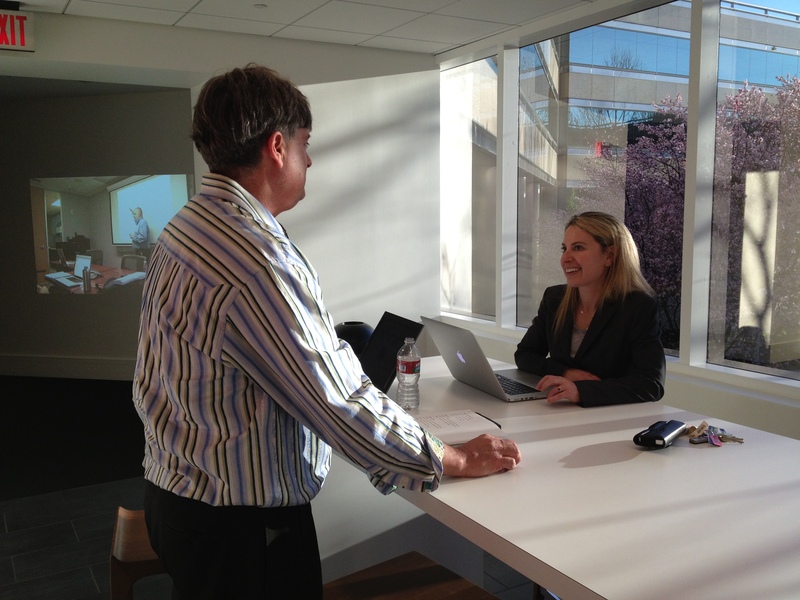 Last week around 150 people gathered at EMC’s Executive Briefing Center (EBC) for a full week of SAP Topics. EMC has long held solution-oriented workshops and executive briefings, but what we call “SAP Week” stands in a special category. A handful of years back, primarily because of the convergence of SAP experts in and around the Silicon Valley corridor, we started taking over the normally refined and sophisticated EBC facility with a bunch of surly types who came in all flavors of SAP. The EBC was happy to do it, matter of fact they were, in part, the instigators. I remember the first year’s hot topic was showing the lab and demos of SAP running virtualized on VMware. Now there are thousands of customers who have taken that plunge. I am comfortable in saying that, that original SAP week was a key player in the early days of virtualizing SAP. Each year, new milestones have come along and the customers come from new locations around the globe. This year we had an international audience from Latin America, EMEA and APJ, along with the continental US and Canada. The event has grown in popularity and what were a few EMC and VMware resources running around between customer whiteboard chats has grown into something quite more significant. Here are some stats: over 30 unique customers hosted, with over 10 partners ranging from product vendors to system integrators and service providers. SAP supported the event providing experts across categories and some reps came in with their customers. The place was filled with household names, customer and partner alike. All in all, the event ran for 4 days averaging about 30-40 people in the mix each day. Of course you can go to SAPPHIRE and see the same list of companies, go by the booths and attend the 15 min conference meet-ups, but what is magical about this is that the pressure is off. 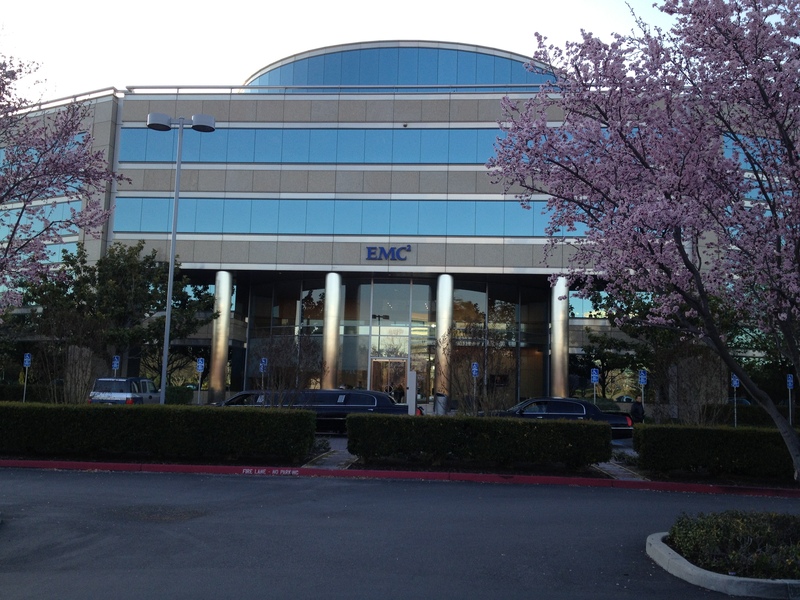 SAP Week, We tell the customer, “Here’s a room for the day, want to talk to EMC or SAP? Want to have Cisco join in? How about Deloitte?” The customer can blend their experience by picking and choosing experts in combinations. It reminds me of summer camp. By end of the week, you’re not the kid from Jersey and I’m not the kid from North Carolina, we’re all “Cabin No. 23”. 1) We focused on the trends, problems and solutions, not products. You can get feature/function from a website but times like these it’s about reality. What have you experienced? Where was your biggest problem during the rollout? Hey I’ve always wondered about…. Etc. It’s about the stuff you can’t read about. 2) Our speaker recommendations are: “dialog, don’t present”. Half of the experts who ran sessions didn’t use presentations. Some white boarded, some just talked about their business and their experiences. Ever see a person with 10-20 yrs experience present a standard deck? Boring! Instead tell me about your business, what you care about, what you are hearing about in the SAP info-sphere. This makes it uniquely interesting. 3) Cloud story is not changing but the demographics are. x86 is continuing to knock down the “big iron” blockades to change. I used to consider it a win if a customer converted to x86/VMware based Vblock solution over several months of due diligence. Last week I saw 3 different customers mentally flip to a converged strategy in the course of a couple of meetings. Why, the freaking results are outstanding! It’s hard to deny the real-life “wins” customers have had with the platform. Additionally almost every conversation had a level of off-prem, on-prem, public cloud, or private cloud component. In reality, every customer is looking at having a little bit of every strategy. Whether it is hosting a Test/Dev environment on Secure24 (a SAP cloud provider who attended) or considering Ariba for procurement, it was like blood in the veins, it’s inherent in every conversation. 4) HANA is happening. It’s not like it was the only topic at the event. It wasn’t, I wouldn’t even say it was the hottest topic at the event, but HANA is alive in the seeds of planning within our customer base. First let me say, the customers in attendance spanned from big industrials, to retail, to mid market players. So many of them aren’t traditionally early adopters. They don’t “go” the first 2 years on the average innovation wave. It’s usually what I would call a pragmatic group, squarely in the mass-adoption segment of the bell-curve. With that said, I can easily say HANA was in almost all customer’s planning efforts, some with sandboxes, some who were rolling out initial use cases, some who want to buy it as a service through a multi-tenancy offering. Many said why couldn’t I run this on my existing standards? Unlike what we see in the initial phase of HANA go-to-market, I predict adoption will be like wildflowers in the field and not like a formal Italian garden. It will propagate and multiply in all sorts of variations and placements. Customers want to have a say in their architecture decisions, their leverage of cloud, and when to leverage appliances. The old and new generation of the SAP landscape will not be as black and white as the chalkboard it is drawn on. That…is ok! EMC has a long-standing belief that innovation happens in the field. Customers are an equal player in this IT experience. Bottom-line, I think these types of conversations tell me HANA adoption is advancing. When you start to enable the pragmatic, you go beyond the hype phase and head into a more productive period. 5) One of my favorite conversations is with other partners about how we can take our value and their value, invest together and create improved offerings for our customers. I was fortunate enough to host several of our partners for business discussions aroun 2013 planning. I walked away with several opportunities, that if I could only hire another 100 people, we’d be able to complete them all by Q3. Last year my team focused on about 11 partners developing joint assets and developing the building blocks that make our customer’s experience that much more valuable. During our user group session over lunch, we had a partner speak about a customer for whom they were able to reduce their project deployment timeline significantly, thus reducing their time to value. The customer’s CIO had quoted that the project was flawless, almost boring even though it had challenging goals. This was in part attributed to the pre-work done to help the partner have the appropriate assets and training on that technology so they could out perform expectation. I have a new saying “Speed is a perception, founded on preparation”. I ask my team to develop solutions to reduce complexity, risk, and time to value, and improve value of the overall solution. I used to “pitch” for a living, but I find it more impactful to engage in the problem-solving process. If I’m helpful, build trust over time and offer great products, you’ll find they sell themselves. We’re trying to spend more of our time in these productive efforts. So you missed the cherry blossoms and the Santana Row Sushi? That’s ok, there are more events coming. In early April we will be running a series of SAP events across APJ where we’ll offer similar amenities. And… the week of April 23 we are hosting a global event; both our Boston, Ma and our Cork Ireland EBCs will be hosting a simultaneous “Across the Pond” SAP Week. This entry was posted in Big Data, Cloud and tagged Analytics, Business Applications, collaboration, IT Transformation, SAP by Andy Sitison. Bookmark the permalink.